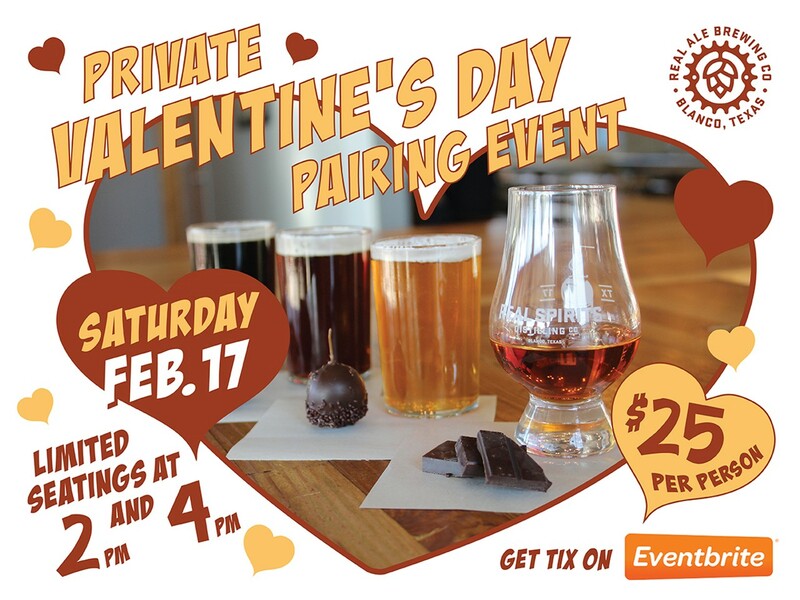 Join the Real Ale Brewing Company for a Valentine's Day pairing event. The event will partner with local chocolatier Steve Gillen from Gillen's Candies for a led pairing event featuring a variety of sweet treats. The pairing will include 3 beers, plus a sample of the brewery's signature hill country whiskey.